You may have seen this story in the news. I would like to give my advice to the concerned residents of Haworth regarding the proposed wind farm. Firstly I have no connection with Banks renewable or any electricity generation company. Therefore my opinions are not influenced by anything other than my experience. The build up to the installation caused the usual and expected panic and concern from residents in our village. 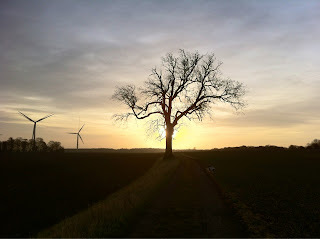 I walk the many paths around Barnburgh and like to ask people what they think of the turbines. 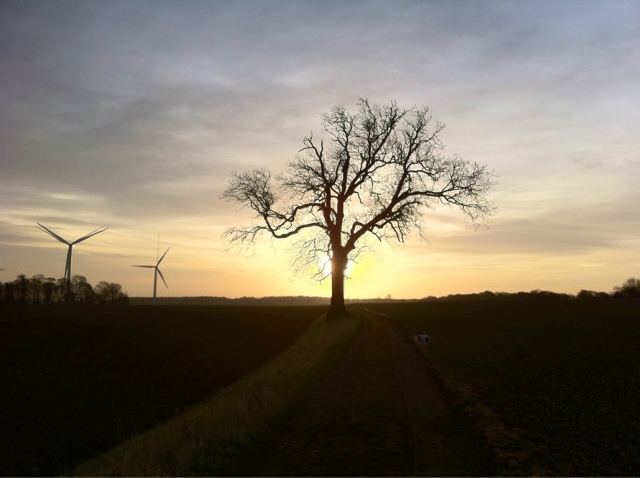 Once the wind turbines were installed and operational there were false reports of environmental impact from certain residents. "There are no birds visiting our gardens anymore", or "I can hear the blades from my garden". I live in the same area as the people commenting and I noticed nothing of what they spoke. This shows a view from Barnburgh Craggs, looking East. Considering that the prevailing wind comes from the SW, any sound from the turbines drifts away from the main settlements. Having said that, there is very little noise from them. I have stood about 50m from them and have heard virtually no noise. When it is windiest, the sound of the wind drowns out any noise that the blades make. The road noise is very much more evident than the turbine noise. There is no greater threat to what we are used to than change. People struggle with change based on where they came into the current situation. There was a huge outcry when the two cooling towers at Meadowhall were scheduled to be demolished. I imagine that we would have a similar outcry now if they said they were going to remove our 4 turbines. Then again, I was brought up in the 1970s with Camberwick Green and Windy Miller! I see nothing but benefit regarding these magnificent structures. There is certainly a place for them in our society. The argument that they can't always work seems folly to me. When they can work, we don't need fossil fuels to be used for energy production. When they don't work, burn some fuel to do the same job that these do. When they turn, they look beautiful and serene. When they are stationary, I feel saddened. I know that pollution is occurring somewhere for my electrical demands. What is the solution? It's probably blowing in the wind.